Chelsea are reportedly considering recalling Tammy Abraham from his loan spell at Aston Villa. The 21-year-old has had a hugely impressive spell in the Championship this season, scoring 11 goals in 14 appearances so far, including a stunning four-goal haul in the recent thriller with Nottingham Forest. 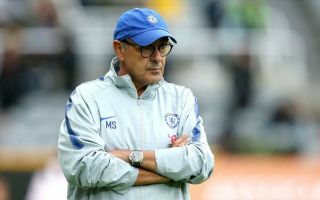 It’s clear Chelsea could do with more of a threat up front after another poor campaign from Alvaro Morata, while Olivier Giroud looks a decent backup but probably not good enough to lead the line for an entire season. Abraham has only played three games for Chelsea’s first-team, but looks like he could be ready to make the step up, with the Birmingham Mail reporting of the Blues’ interest in bringing him back. They report, however, that Villa hope the initial agreement of taking the England international on loan for the entire season will stand. The Midlands outfit could clearly do well to keep hold of Abraham if they are to have any hopes of winning promotion back to the Premier League. Villa are currently three points adrift of a playoff place, and the Birmingham Mail suggest the club are hopeful that Abraham himself is happy there due to the target of winning promotion and also working alongside CFC legend John Terry to help him in training.